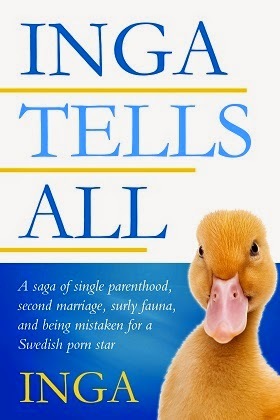 “A closed mouth gathers no feet.” - Inga’s personal motto, poorly followed. “What you accept, you teach.” - Inga’s parents’ motto, well followed. “The wages of sin are death, but after taxes are taken out, it’s just kind of a tired feeling.” – Paula Poundstone.